Pick your pavé! 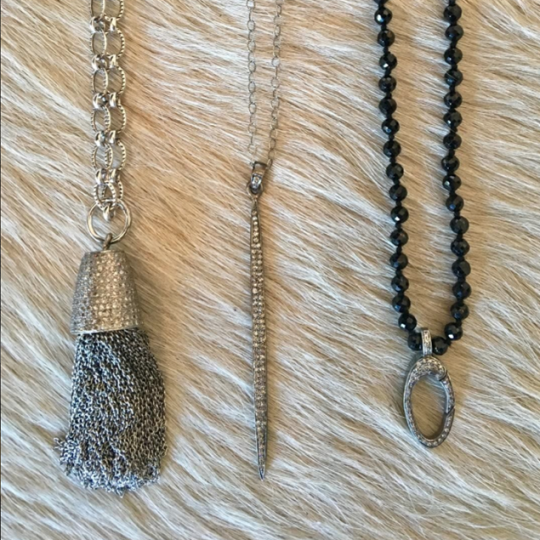 Our Pavé Tassel Necklace, Pavé Diamond Quill and Black Bead Necklace with Pavé Clip all make a bold statement in their own radiant way. See our entire collection of pavé here.